(Reuters) - Stocks fell on Wednesday, with the losses accelerating even after the Federal Reserve said it would hold steady with its monetary policy. The central bank gave no explicit indication that it was close to pulling back on its program to buy $85 billion in bonds per month, a policy that has been a key to the market's rally this year. Investors have speculated the Fed might start drawing down soon, contributing to a spate of volatility, though equities advanced strongly on both Monday and Tuesday ahead of the statement. NEW YORK, June 19 (Reuters) - The U.S. dollar reversed early losses and rose against the euro and yen on Wednesday after the Federal Reserve's Federal Open Market Committee said it sees diminished downside risks to the outlook for the economy and the labor market. The headline reading for Canadian inflation is expected to increase an annualized 0.9% in May, and the faster rate of price growth may prop up the loonie should the data renew speculation for higher borrowing costs. However, we may see Bank of Canada (BoC) Governor Stephen Poloz retain a wait-and-see approach in the second-half of the year amid the slowing recovery, and the central bank adopt a more neutral tone in the coming months in an effort to further strengthen the real economy. As Canadian price growth is expected to pick up in May, we may see the USDCAD continue to come off of trendline resistance, and the wedge/triangle formation may continue to take shape in the second-half of the year as the BoC retains a neutral stance for monetary policy. However, should the inflation report disappoint, we may see the upward trending channel from earlier this year foster a bullish breakout in the exchange rate, and the pair may continue to track higher over the coming months amid the deviation in the policy outlook. June so far has been a tough month for stocks. The S&P is down around 2.5%, although it was able to close the week above the lows. Since 1950, the S&P 500 has been down slightly in June, including a 5.2% loss in 2010 and an 8.55% slide in 2008. Over the past ten years, the best was 2012′s gain of 3.99%. So what about July? Here, the record is a bit better, as the S&P was up 34 years and down 29, with an average gain since 1950 of 0.8%. Since 2003, the best year was 2009, when we saw a 7.24% gain; 2004 was the worst, as the S&P lost 3.28%. The weekly bottom in long-term rates was confirmed at the end of May, when the yield on the 30-year T-Bond completed its reverse head-and-shoulders bottom formation. The chart shows that yields moved above the neckline (line a), which projects a move to the 4% level. A similar formation in the ten-year T-Note yields was confirmed last week. Both yields are at or above the weekly Starc+ bands, indicating the yields have likely risen too fast. This makes a pullback in yields and a rally in bond prices more likely in the coming weeks. Bondholders should have a nice opportunity to reduce their exposure and shorten their maturities. One should keep in mind that rates need to still move significantly higher to confirm that the long-term bull market in bonds is really over. The selling in the Japanese market has been even heavier, but it is my view that the yen will continue to weaken, and by comparison that the country’s stock market will move higher over the rest of the year. Therefore, the correct correction should be viewed as a buying opportunity. 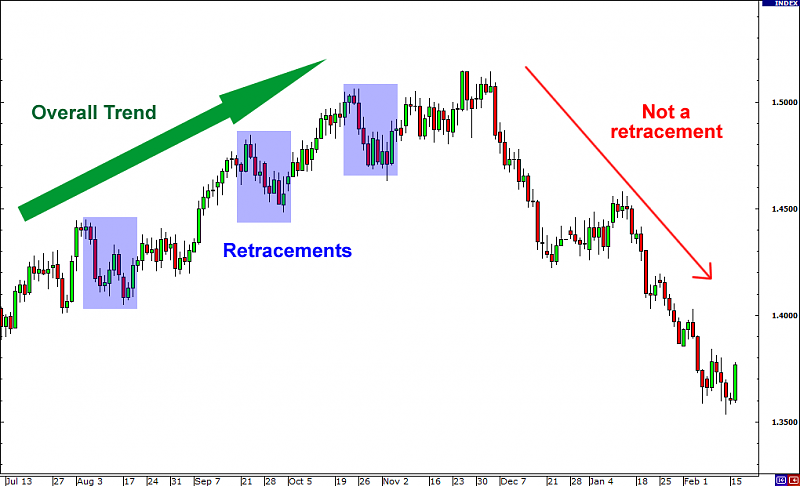 A retracement is defined as a temporary price movement against the established trend. Another way to look at it is an area of price movement that moves against the trend but returns to continue the trend. 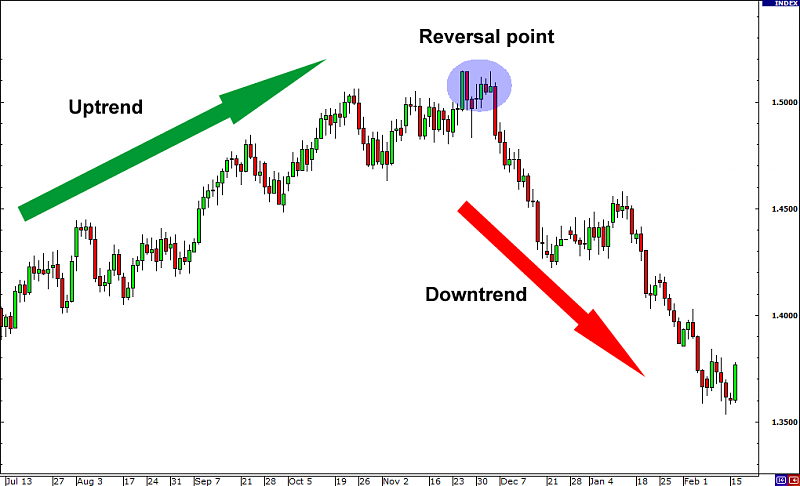 Reversals are defined as a change in the overall trend of price. When an uptrend switches to a downtrend, a reversal occurs. When a downtrend switches to an uptrend, a reversal also occurs. Using the same example as above, here's how a reversal looks like. The price on D1 was on Bear Market Rally and came very close to Sinkoy Span B Line trying to cross this level to be inside Ichimoku cloud. But there are few very strong resistance levels located directly inside the cloud on the way the price to go up: 98.28 and 98.99. Besides, Sinkou Span B line (97.88) is strong resistance level as well. Thus, if the price will go to inside the cloud by breaking Sinkou Span B line so it may be ranging market condition. If the price will reverse back to primary bearish so we may have same trend with same direction which we had in the last week for example. The dollar ended the week sharply higher against the yen on Friday amid expectations the Federal Reserve will begin to taper off its bond-buying program by the end of this year. The dollar strengthened against the yen, with USD/JPY climbing 3.82% for the week to settle at 97.88, the largest weekly gain since December 2009. The pair is likely to find support at 96.85, Friday’s low and resistance at 99.45, the high of June 6. The U.S. is to publish official data on durable goods orders, a leading indicator of production, as well as closely watched reports on consumer confidence and new home sales. The U.S. is to release revised data on first quarter economic growth as well as government data on crude oil stockpiles. The U.S. is to release the weekly government report on initial jobless claims along with data on personal income and expenditure, which is to be followed by private sector data on pending home sales. Japan is to release a series of economic data, including reports on household spending, inflation, retail sales and preliminary data on industrial production. The U.S. is to round up the week with a report on manufacturing activity in Chicago and revised data from the University of Michigan on consumer sentiment. Obama strongly suggested “he would not renominate Bernanke” in a PBS Charlie Rose interview which aired Monday (LA Times): "I think Ben Bernanke’s done an outstanding job. Ben Bernanke’s a little bit like Bob Mueller, the head of the FBI, where he’s already stayed a lot longer than he wanted or he was supposed to." Then there was the Fed statement and press conference on Wednesday, where interpretations of Bernanke’s “tapering remarks” were all over the lot but the market’s reaction was far from unclear, triggering the biggest two-day selloff of the year. Goldman Sachs’ economists noted “the shock and surprise” in the Fed statement (CNBC) : "The FOMC (Federal Open Market Committee) was more hawkish than we had expected,’ wrote Goldman Sachs economists Jan Hatzius and Sven Jari Stehn. ‘Our takeaway is that the risk to our forecast of quantitative easing tapering starting in December has increased." “As I’ve said, Angela and I don’t exactly look like previous German and American leaders.” –President Obama in his speech this week in Berlin at the Brandenburg Gate, referring to Chancellor Merkel. Some cynics accused the President of trying to escape domestic controversy through his the trip to Europe, as has been a trick of many Presidents of the past. But most criticism focused on “warmed-over citizen-of-the-world rhetoric, poorly delivered,” (Commentary Magazine) and Obama’s unfulfilled “potential” since his historic and rousing Berlin speech of 2008, as Yahoo noted in part: "The power of Obama’s biography has dimmed in the shadow of controversy…’I still have time to fulfill my promises,’ he seemed to be saying. ‘The ones I haven’t kept, they aren’t broken, just deferred." Gold dropped to a 34-month low in New York and headed for the worst quarterly slump on record following the Federal Reserve’s comments on tapering stimulus. Gold futures slid 25 percent this quarter, heading for the biggest loss since at least 1975, with London prices set for the largest fall since at least 1920. Fed Chairman Ben S. Bernanke said June 19 that the Fed may slow its bond-buying program this year. U.S. data may show today that consumer sentiment improved and business activity expanded, economists said. Gold for August delivery fell 0.8 percent to $1,201.40 an ounce by 7:39 a.m. on the Comex in New York, after reaching $1,179.40, the lowest since Aug. 2, 2010. Futures trading volume was 64 percent above average in the past 100 days for this time of day, according to data compiled by Bloomberg. Gold for immediate delivery in London added 0.1 percent to $1,202.42. While my recent articles may give the impression that I am a perma-bear when it comes to gold, that isn't the case. I turned bullish on gold back in the early 2000's after reading a headline that central banks were ending their gold liquidations. That event pretty much signaled the end of the gold bear market that had been in place since the late 1970s. While working as a portfolio manager I had precious metals as a holding in my portfolios. I was bullish on gold for all the right reasons, and the price action was supportive of my decision. I am now bearish on gold because the bulls are bullish for all the wrong reasons, and the price action is supporting my position. In my opinion, gold is being supported by pillars of sand, and the tide is coming in. Pillar #1: Printing money causes inflation. Pillar #2: The US dollar isn't going to collapse and go to zero as many gold bulls claim. Pillar #3: The debt will force the US government to print money.